Cancer in isolation is unthinkable, with family and friends it is bearable and with a community, you believe it is something you can beat. 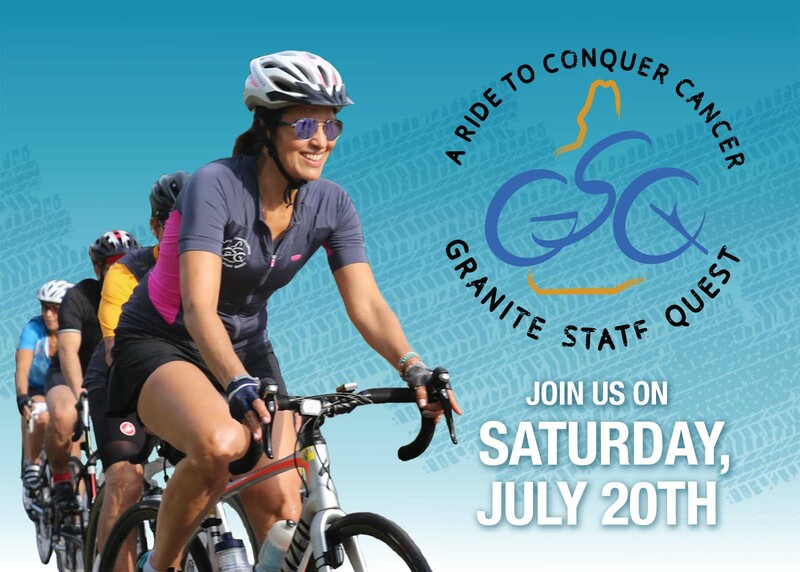 Join the Granite State Quest and ride to conquer cancer on Saturday, July 20. HOW WILL YOU SUPPORT THE GRANITE STATE QUEST? Register for the ride on July 20, create a team or join a team. Make a donation to a friend who is riding or to a team. Sign-up to help out with logistics at the event. 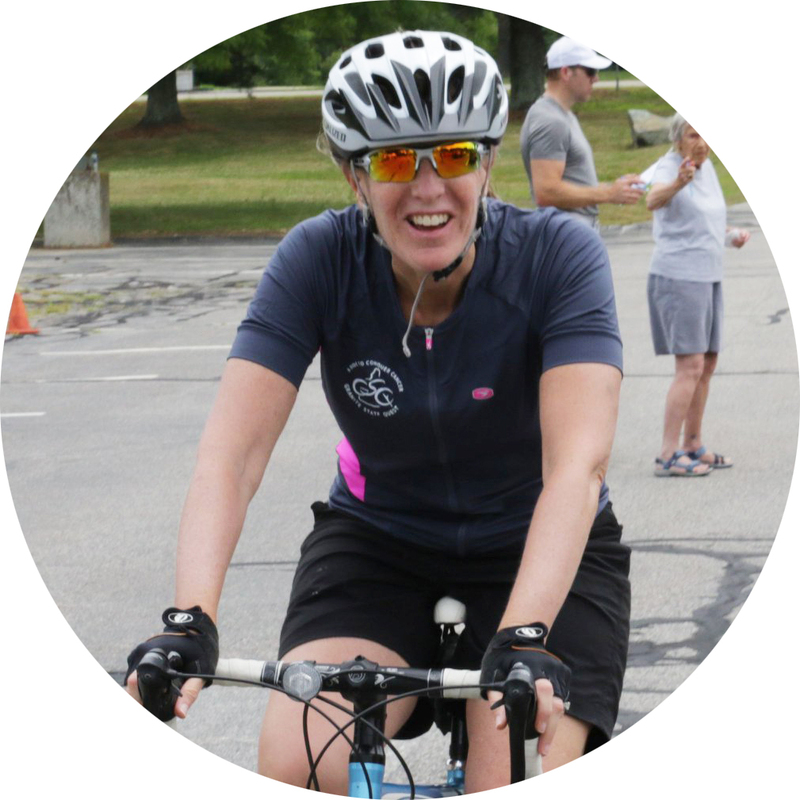 The mission of the Granite State Quest is to raise funds to conquer childhood cancer. Partnering with the Massachusetts General Hospital, the funds raised by The Granite State Quest will be specifically directed towards pediatric cancer research developed and initiated by the Pediatric Hematology/Oncology Unit of the Mass General Hospital for Children. The MGH team has world-renowned experience in treating leukemia, lymphomas and brain tumors. Over the past 17 years, dedicated participants of the Granite State Quest have raised more than $1.6 million. Thanks to generous in-kind donations from many businesses, 100% of the funds raised by the riders has gone directly to pediatric cancer research and patient care at MGH. 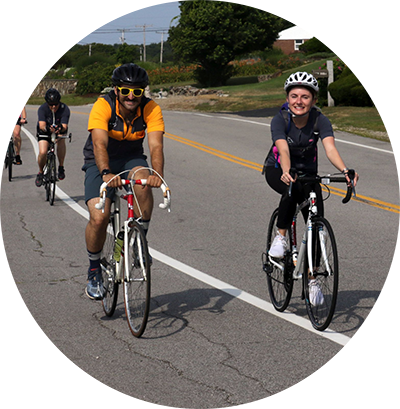 Starting and finishing at The Timberland Company in Stratham, New Hampshire, riders have the opportunity to bicycle 50 miles throughout southern New Hampshire. The route takes the riders along the beautiful NH coast and then inland up and down the rolling hills. Many riders return year after year to reconnect with new friends and riding partners – all committed to raising funds to help eliminate the terrible sting of cancer. The day concludes with a post ride barbecue and celebration. Riders, volunteers and family members all gather to share stories of the day’s ride. While there may be a few aches and pains, the riders find great comfort in knowing that they have become members of the community that is needed to bridge the gap between the hope and the reality of finding a cure for cancer. Registration is $85 per rider and riders are asked to commit to raising $750 ($1,500 is suggested.). All funds raised benefit the pediatric hematology-oncology program at MassGeneral Hospital for Children. You don’t have to ride to make a difference. The success of the Granite State Quest depends heavily on our volunteers. 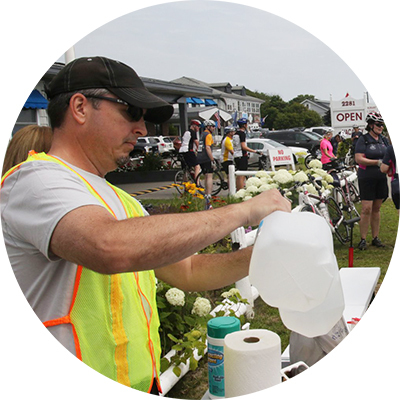 The Granite State Quest has numerous opportunities for you to participate, including registration, food and beverage service, mechanical support, medical support, route crew and after event celebration. How can I sign up for the Granite State Quest? You can sign up for the 2019 Granite State Quest by registering on our sign up page. Please contact us if you are having problems registering or can't access the email account you registered with last year. Yes, you can create or join an existing team when you register. If you have any questions about creating or joining a team, please contact us. How much do I need to fundraise in order to participate in the Granite State Quest? Riders are asked to raise a minimum amount of $750 with a recommended amount of $1,500. If you have any questions about fundraising, please contact us. When do I need to register by to ensure I get a bike jersey? To guarantee a bike jersey, you need to register by May 15. I have questions about using my web page or my fundraising dashboard. What can I do? Please see our how-to guide for using your dashboard. If you have any questions or need any additional help, please contact us. Please complete the recover password form and your information will be e-mailed to you. If you are having problems recovering your user name, please contact us. If you have question about offline donations, please contact us. Yes – to send a personalized thank you message to your sponsors just log in to your account and visit your dashboard. I made a donation and want to ensure it is credited to the correct rider. You must visit the rider’s page directly or use the search tab to locate the rider’s page to making a gift in support of a specific rider. Any gift made on the rider’s personal fundraising page will be credited to that person. The gift should appear immediately. If you have any issues with a gift appearing on the rider’s page, please contact us. How can a donation be listed as anonymous? Your donor can choose to be anonymous when completing the gift form. Yes. After selecting a donation amount, please check the box next to "Dedicate my donation in honor or in memory of someone" and fill out the tribute form.